You may ask what favicon is? Short for Favorite icon, also known as a shortcut icon, Web site icon, tab icon or bookmark icon. It's a file containing one or more small icons, most commonly 16×16 pixels, associated with a particular website or web page. Those little icons on each tab were a great time saver for those who work with multiple tabs and there was no clear way to add them back. By default Safari 8 (or Safari 9 in OS X El Capitan) stopped supporting Favicons in favour of colour less interface. While it doesn't seem like a big deal for most people, a lot of power users who use lots of tabs in their browser wasn't very happy about it since it kills productivity. So how to get them back? Sure, there was Glimps but it's not supported on newest Safari browser breaking lots of other functionalities. For those wanting to get back their favicons there's now a better alternative! 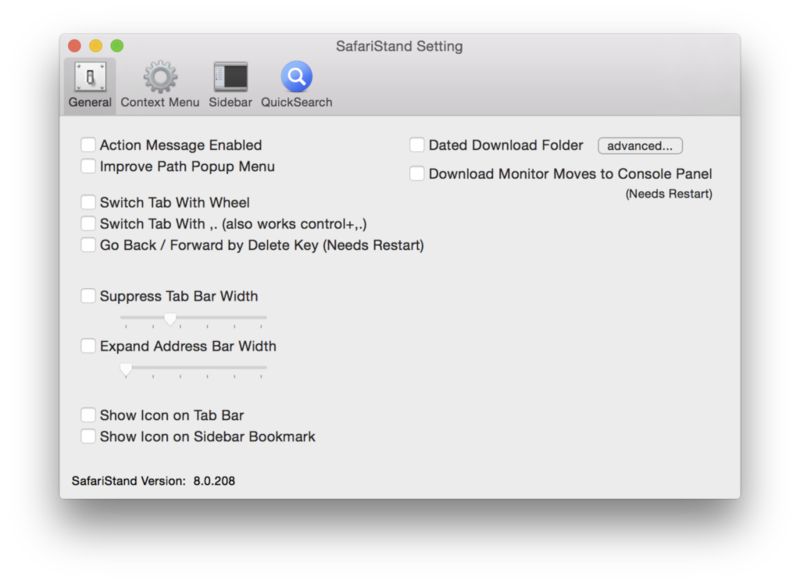 This article has also been prepared for new version of Safari on Mac OS X El Capitan. 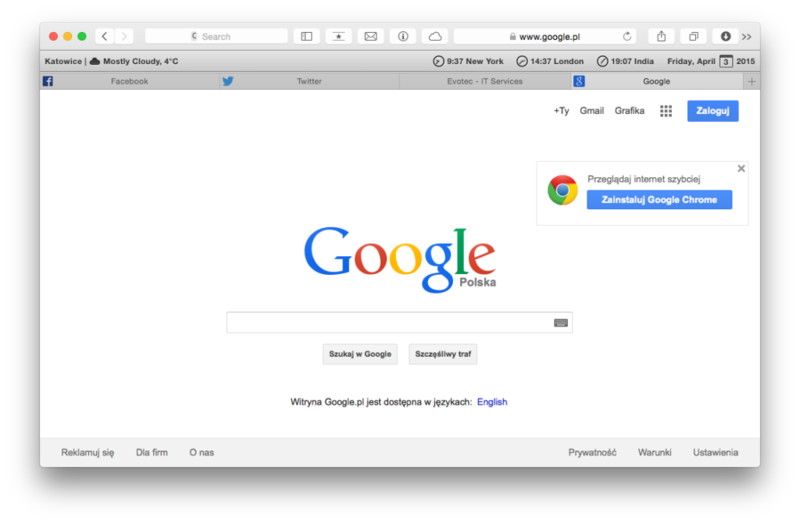 If you're interested follow the link for step-by-step instructions Mac OS X El Capitan – How to disable autoresizing tabs in Safari 9. If you've upgraded from Mac OS X Yosemite where you've been using Easy SIMBL you may want to read Mac OS X El Capitan – How to get SIMBL working after upgrade. If you've problems with SIP (System Integrity Protection) you may want to read Mac OS X El Capitan – How to manage SIP (System Integrity Protection) which is necessary to get SIMBL running. 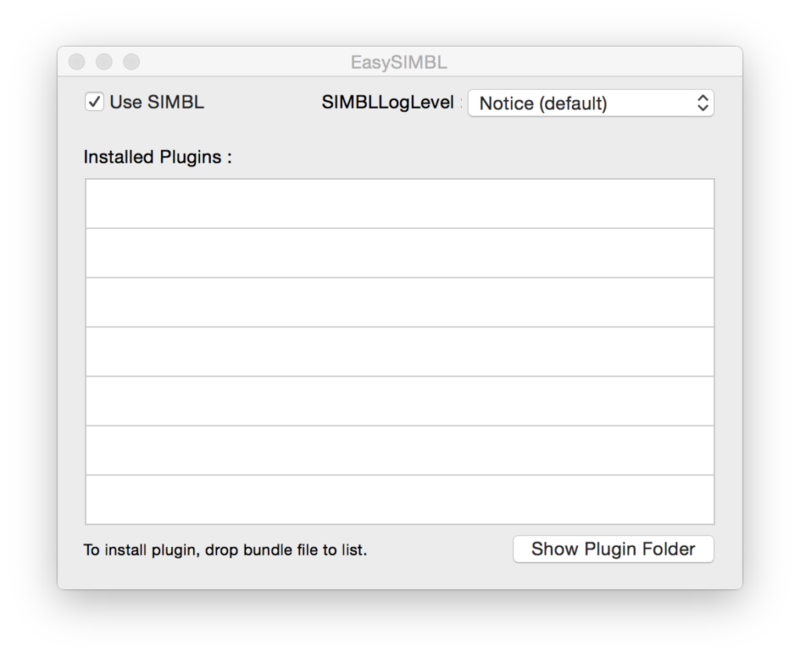 Install EasySIMBL, which is an extension manager for Mac OS X apps and move it to an Applications folder. 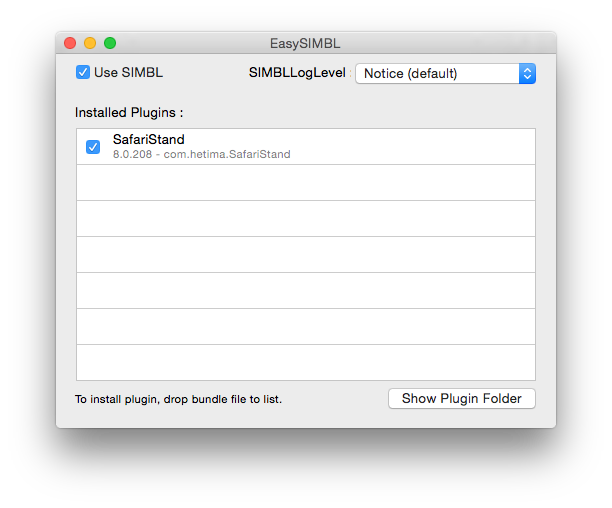 Download SafariStand plugin, extract it and finally drag & drop .bundle file into the EasySiMBL application. Please note that if EasySIMBL is not working for you (versions older than 10.10.4 b4 still work) you can download SIMBL which EasySIMBL is based on. However the changes made to EasySIMBL prevent it from working on newer systems. It's suggested to try EasySIMBL first thou, as it may get fixed by the author by the time you read this. The difference is that SIMBL has no graphical interface so some steps have to be done manually. After it's successfully installed simply copy plugins into /Library/Application Support/SIMBL/Plugins for all users, or ~/Library/Application Support/SIMBL/Plugins for just your account. After Safari restart everything should be working again. That is on Mac OSX Yosemite. For Mac OSX El Capitan things get little complicated with the introduction of Rootless (as Apple calls it) or SIP (System Integrity Protection) mechanism. You can read about it on Total Finder website. We've covered How to get SIMBL working in Mac OS X El Capitan after upgrade in one of the newer blog posts. After following this a bit complicated procedure simply follow the steps described above to get your Safari 9 Favicons.